Another season and another go at being the official photographer and sponsor at The Clothing Show. As usual there were some fantastic designers showcasing their latest designs for 2011. Eighteen designers in all with three fashion shows repeating three times over two days. Yes that’s right. Thank goodness I had Colette helping me out. I also had a photo booth set up beside the runway so for the first six fashion shows, I shot at the photo booth while Colette shot the runway shows and then I joined her and shot runway for the last three shows. These images are from the last show. Thanks to Clayton, Bonnie and Heather from the Clothing Show for a great event. Special thanks to Orange Model Management. 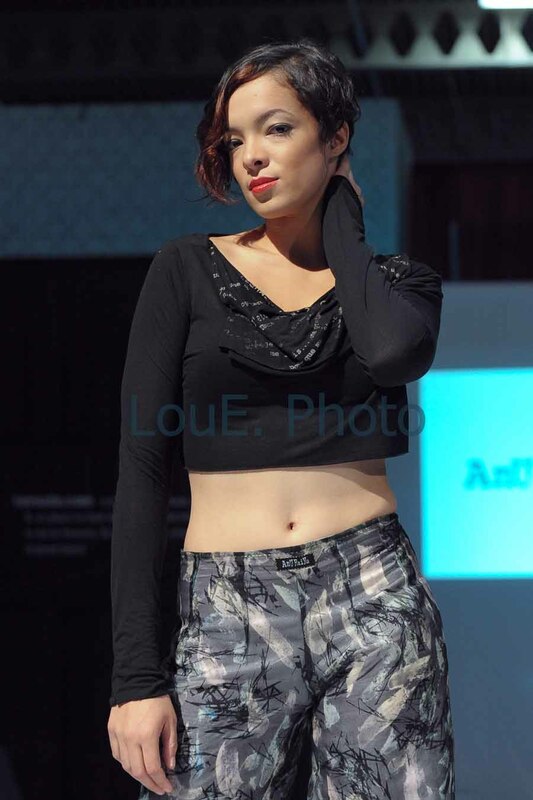 Thanks also to Colette for her assistance and for taking some great shots on the runway. Thanks also to the regulars at the media pit for the laughs and good times (Ryan, Jason, Ron and Raymond). The lighting on the runway was not the greatest. Very high ceilings with fluorescent lighting as well as a couple of hot spots on the runway which I actually used to my advantage for the full length shots. I used my beauty dish last time I was here in May but this time no flash (shock and relief from the other photographers that were here last time). 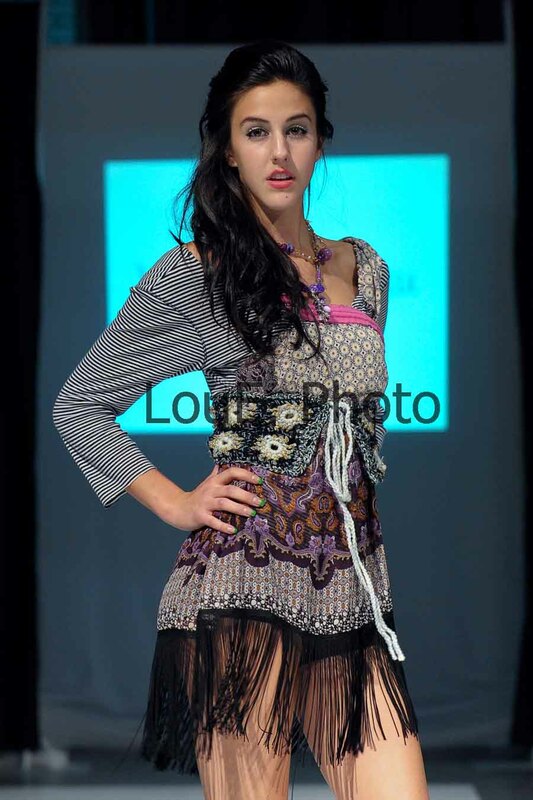 I wish the Clothing Show would just ban flash for the runway. Anyway, I had the ISO up to 2000 and was using the Nikon 70-200 2.8VR. Man do I love this lens. Colette and Ryan were nice enough to let me squeeze between them for the final three fashion shows and it worked out quite well as I even got some eye contact from several models as seen on these images. Last time I did the photo booth beside the runway, I used the Elinchrom Beauty Dish as a sole strobe with a blue/white canvas background. 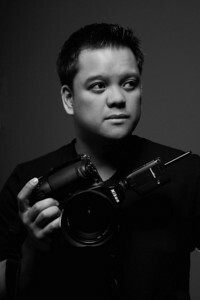 This time I used the Elinchrom Rotalux Softbox Deep Octa and two Opus strobes with umbrellas for some side/rim light. The backdrop was a 9 foot seamless paper. I had to travel light and thought this combination would work best for what was needed and for convenience. Okay, maybe the paper wasn’t convenient but it worked quite well and I did fit it into the Malibu. There was some slight spill from the ambient and other fluorescent lights but overall this set up worked quite well. It was quite an organized mayhem during the runway show. The models would have their picture taken just before they went on the runway by another photographer with a strobe setup backstage. As the models finished the runway they would come to where I was and pose for two shots before running backstage to change and do it all again. Incredible that everything went without a hitch. Thanks to Heather for that! 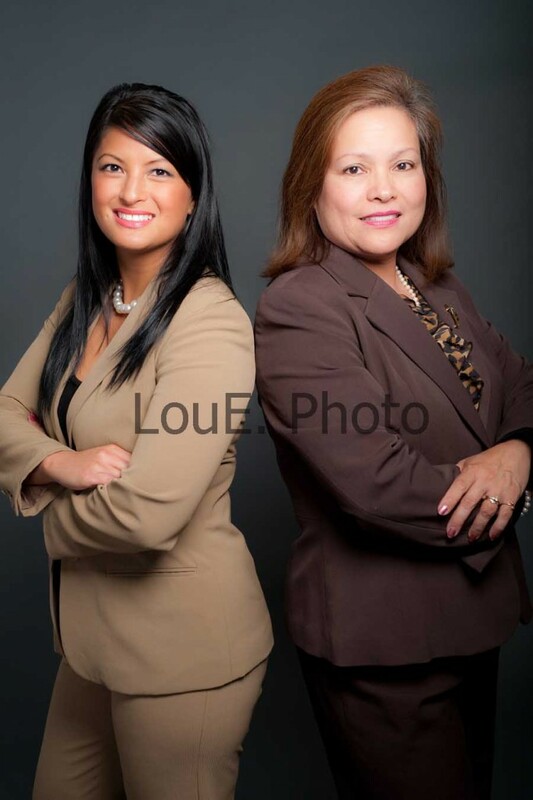 Boots Montano and her daughter Claudine Montano from Century 21 needed some new photos for their marketing strategy. Claudine and her fiance, Mike Monago just recently joined Boots at St Andrew’s Realty Inc. and now the family are ready to take the real estate market by storm! Soundtrack for the shoot was Morcheeba’s new album Blood Like Lemonade and the self titled album of the Brand New Heavies. Very cool high fashion photo shoot on location at Spellbound Hair Design in Markham, Ontario. The space had an industrial goth type feel to it and I wanted to capture that look and add a bit of coolness and depth in colour via post. Both models, Jessica and Deua were awesome and they really worked well together. These are my top five from the night. Thanks to Carlos from Spellbound Hair Design for not only doing great hair as usual but also for accommodating the shoot. Hopefully we didn’t chase too many of your customers out the door. Kidding. Thanks also to Koren Lui for the awesome make up. Special thanks to Joy Couture for not only setting up the shoot but for her fabulous designs. Last but not least, thanks to Colette for her assistance. Music was Carlos’ alternative rock mix. Still hearing Linkin Park banging in my head. Tech note. Tight space but I did manage to use three strobes. Beauty dish as a key light, umbrella as a fill, and another strobe with a snoot for the model in the background and when the models were isolated, as a hair light. Again due to the tight space, I used my 35mm F2 lens.